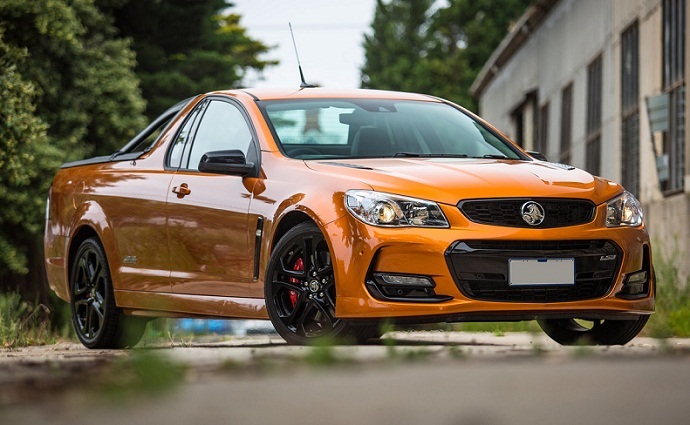 The one and only ute left, the Holden Ute is definitely fan to drive, flexible and we love how its thirsty V-8 engine sounds. However, this unique vehicle won’t likely see the next generation version as the new Commodore sedan, on which the Ute is based, has been revealed as the fully imported Commodore which is actually the Opel Insignia with the lion badge. The German-built Commodore sedan will also get the wagon version which will continue to be marketed as the Sportwagon. However, since the future of the Holden Ute is uncertain what left us is to speculate how the 2018 Holden Ute might look if it comes based on the new-generation Commodore. If the newest Commodore would get the ute body, like the sedan and wagon version, the 2018 Holden Ute would be about 200 kg lighter thanks to GM’s global E2 platform. With the lighter body, this model would also get sleeker European look. The front fascia of the new Holde Ute would adopt broader grille version with the winged strip which holds the lion badge. Flanking the grille would be slimmer headlights available with the IntelliLux Led matrix technology. The narrower front bumper would have smaller openings and re-sculpted fog light slots. From the profile perspective, the model would feature subtle fender flares combined with the pronounced character line and attractive incision on the door panels. The rear side would get new taillights and bumper. Interior of the new version would exhibit new European-inspired design and the new level of advanced technology. Redesigned dash would come with the 8-inch touchscreen and smartphone compatibility. The better sound insulated cabin would also adopt comfortable seats available with available heating and cooling features. Following the same pattern as the newest Commodore, the Ute could also include automatic emergency braking, adaptive cruise control, lane departure warning, rear cross-traffic, etc. Powering the new 2018 Holden Ute, if it arrives based on the newest Commodore sedan, would be a 2.0-liter turbo petrol and diesel four-cylinder engines. The front wheel drive would be available by default..
On the other hand, the top version would get the 3.6-liter V-6 engine producing around 230 kW (308 hp). This doesn’t sound very impressive compared to the current SS V Redline version with the 6.2-liter V-8. The V-8 in the SS V Redline produces 304 kW (407 hp) and torque of 570 Nm. However, brand’s first nine-speed automatic transmission would be an improvement. And the new Twinster all-wheel drive system with the torque vectoring would help to say bye to the V-8 engine. The new generation 2018 Holden Ute based on the newest Commodore is far from the production lines. We don’t even have signs that brand is even considering this version. So, after the Ford axed the production of the Ford Falcon in 2016 the current generation of the Holden Ute might be the last one as well.